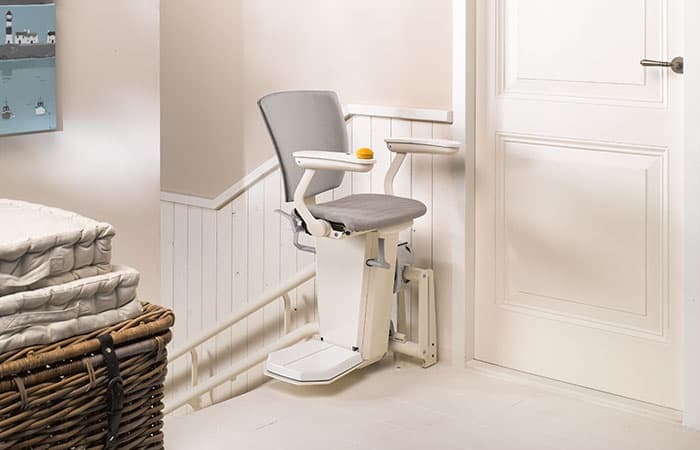 There are two variations of stairlift, either ‘Straight‘ or ‘Curved‘, referring to the type of stairs you have in your home. 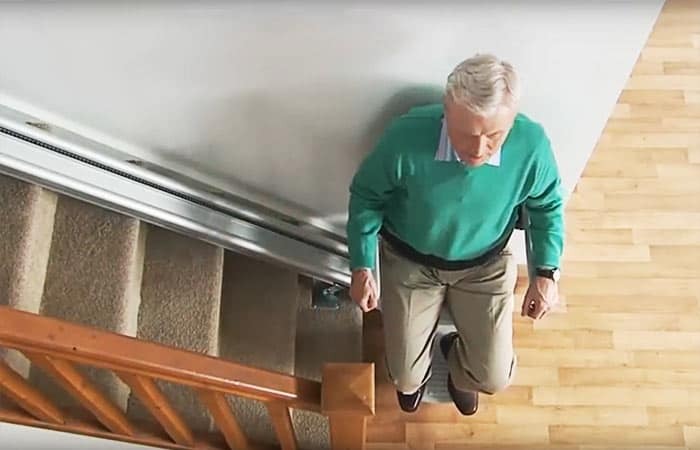 So, for example if your stairs run in a straight line up you would need a Straight type of stairlift, but if there are bends or turns in your stairs then you would need a ‘Curved‘ type of stairlift, that will run on rails that follow the bend. Since each staircase that has bends or curves is different in design to the next, the curved stairlifts have to be manufactured specifically for that staircase. This has an impact on the cost when compared to a straight staircase, as the straight rail need only be cut to the required length. 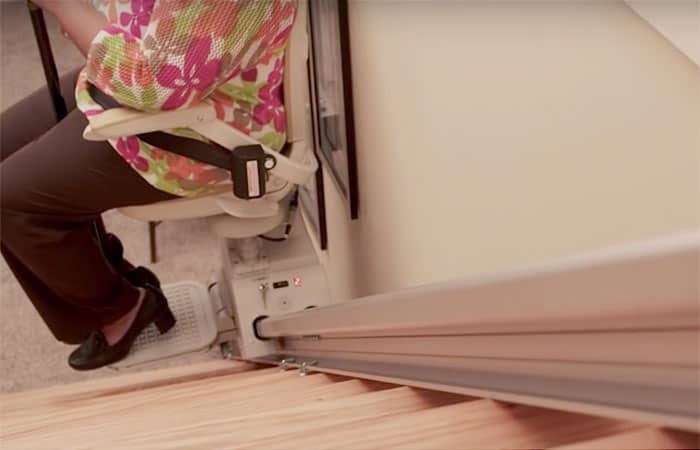 Straight rail stairlifts can be held ‘in stock’ and therefore can be fitted within a day or two of order, compared with a manufacturing time of several weeks for a curved lift. Once on site either type of lift will only take a matter of hours to install. The rails that the lift run on are fitted to the steps of the stairs, and not to the wall, as is often thought. Safety stops are fitted to all stairlifts. These are designed to stop the chair if an obstruction occurs during its travel either up or down the stairs. When the chair is not being used the footrest, arms and seat all fold up to leave enough room for other users to go up and down. 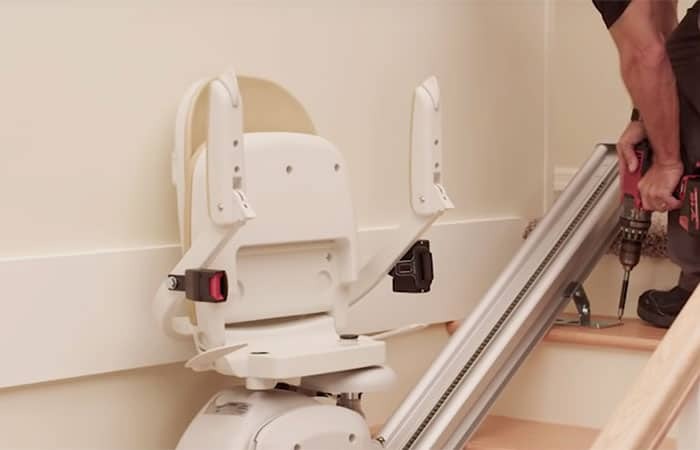 As well as the Up/Down control buttons fitted to the arms of the chair, stairlifts all come with remote controls, this allows more than one person to use the lift; these controls will Call and Send the lift (either Up or Down the stairs).